Both aircraft featured an unorthodox "all-wing" design consisting of a flat, somewhat disk-shaped body (hence its name) serving as the lifting surface. Two piston engines buried in the body drove propellers located on the leading edge at the wingtips. In the 1930s, Charles Zimmerman was a noted aeronautical engineer who advocated the concept of "discoidal" aircraft, the so-called "Zimmer's Skimmers" and worked on a variety of projects on his own and with the Vought company. After testing using scale models, including a remotely controlled, electrically powered large scale model, designated the Vought V-162, the US Navy approached Zimmerman and offered to fund further development. Data and concept documentation was given to the Navy in 1939, with wind tunnel tests on full scale models being completed in 1940-1941. 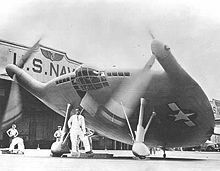 The original prototype, designated the V-173 (Flying Pancake), was built of wood and canvas and featured a conventional, fully symmetrical aerofoil section (NACA 0015). Designed as a "proof-of-concept" prototype, the initial configuration V-173 was built as a lightweight test model powered by two 80 hp (60 kW) Continental A-80 engines turning F4U Corsair propellors. These were replaced by a pair of specially modified 16 ft 6 in three-bladed units. A tall, fixed main undercarriage combined with a small tailwheel gave the aircraft a 22� "nose-high" angle. The disc wing design featured a low aspect ratio that overcame the built-in disadvantages of induced drag created at the wingtips with the large propellers actively cancelling the drag-causing tip vortices. The propellers were arranged to rotate in the opposite direction to the tip vortices, allowing the aircraft to fly with a much smaller wing area. The small wing provided high maneuverability with greater structural strength. In January 1942, BuAer requested a proposal for two prototype aircraft of an experimental version of the V-173, known as the VS-135. The development version, the Vought XF5U-1, was a larger aircraft with all-metal construction, and was almost five times heavier. The first flight of the V-173 was on 23 November 1942 with Vought Chief Test Pilot Boone Guyton at the controls. The aircraft's most significant problem concerned its complicated gearbox that routed power from the engines to its two long propeller shafts. The gearbox produced unacceptable amounts of vibration in ground testing, delaying the aircraft's first test flight for months. 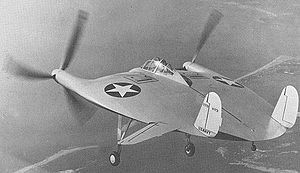 Flight testing of the V-173 went on through 1942 and 1943 with 190 flights, resulting in reports of "flying saucers" from surprised Connecticut locals. 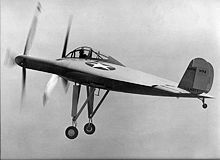 Charles Lindbergh piloted the V-173 during this time and found it surprisingly easy to handle and exhibiting impressive low-speed capabilities. On one occasion, the V-173 was forced to make an emergency landing on a beach. As the pilot made his final approach, he noticed two bathers directly in his path. The pilot locked the aircraft's brakes on landing, causing the aircraft to flip over onto its back. Remarkably, the airframe proved so strong that neither the plane nor the pilot sustained any significant damage. The developmental V-173 made its last flight 31 March 1947. In 131.8 hours of flying over 190 flights, Zimmerman's theory of a near-vertical takeoff- and landing-capable fighter had been proven. The V-173 is now part of the Smithsonian collection at the Paul E. Garber Preservation, Restoration, and Storage Facility in Silver Hill, Maryland. Chant, Christopher. Fantastic Aircraft. New York: Gallery Books, 1984. ISBN 0-8317-3-189-3. Ginter, Steve. Chance Vought V-173 and XFU-1 Flying Pancakes (Naval Fighters Number Twenty-one). Simi Valley, CA: Steve Ginter Publishing, 1992. 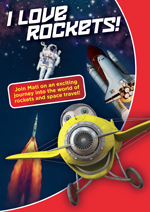 ISBN 0-942612-21-3. Guyton, Boone T. "The Flight That Must Not Fail, In the Strangest Flying Machine of All - The V-173." The Hook - Journal of Carrier Aviation Vol. 19, no. 4, Winter 1991. ISSN 0736-9220. Guyton, Boone and Paul Marcus. "The Ups and Downs of The Flying Pancake." True, July 1951. Vol. 29, no. 170. 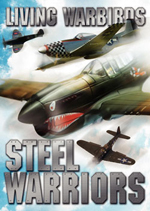 Guyton, Boone T. Whistling Death: The Test Pilot's Story of the F4U Corsair. Atglen, PA: Schiffer Publishing Ltd., 1996. ISBN 0-88740-732-3. 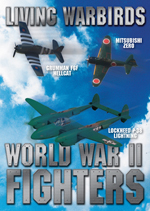 Jerram, Michael E. Incredible Flying machines: An Anthology of Eccentric Aircraft. New York: Exeter Books, 1980. ISBN 0-85685-835-8. Pearson, Gregory. "Vought's Flying Disc." Wings Vol. 32, no. 1, February 2002. Schoeni, Art. "The Flying Pancakes." 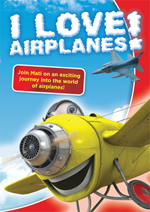 Aeroplane Monthly Part 1 Vol. 3, no. 11, November 1975, Part II, Vol. 3. no. 12, December 1975. Schoeni, Art. "The Flying Pancakes." Air Classics Vol. 11, no. 8, August 1975. Winchester, Jim. ""Vought XFU-1." Concept Aircraft: Prototypes, X-Planes and Experimental Aircraft. Kent, UK: Grange Books plc., 2005. ISBN 1-84013-309-2. Winchester, Jim. "Vought V-173 and XFU-1 'Flapjack' (1942)". X-Planes and Prototypes. London: Amber Books Ltd., 2005. ISBN 1-904687-40-7.